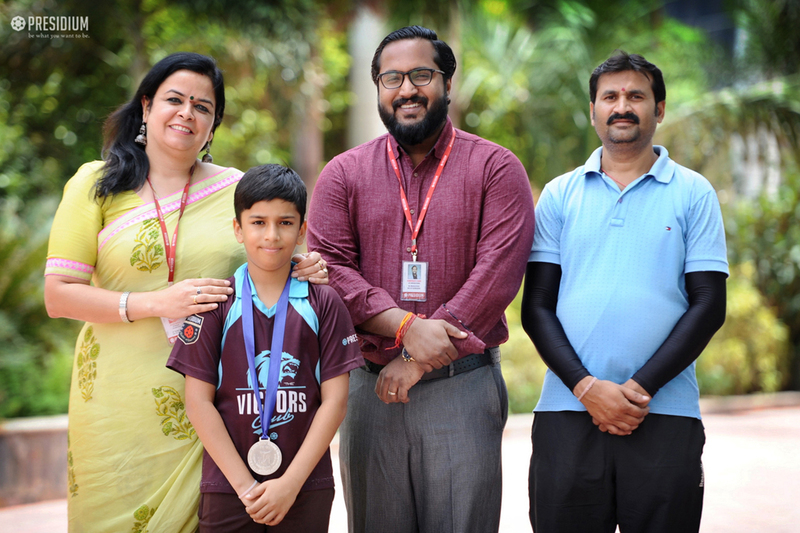 KUDOS DEVANSH FOR WINNING LAURELS AT SKATING COMPETITION! HomeNews and UpdatesKudos devansh for winning laurels at skating competition! We feel extremely proud to announce that Presidium is bestowed with yet another glory! Devansh Sharma from grade 5 recently took part in the ‘31st Haryana Roller Skating Competition’ for State Level Roller Inline Hockey Skating Competition held at Yamunanagar, organized by HRSA. The team bagged second position and silver medal in the first tournament for sub junior boys’ team. Devansh also participated in the 55th National Roller Skating Competition held at Kurukshetra representing Haryana state organized by RSFI. You have made your school, mentors, and parents immensely proud. We hope you continue your brilliant performance in your future endeavours!